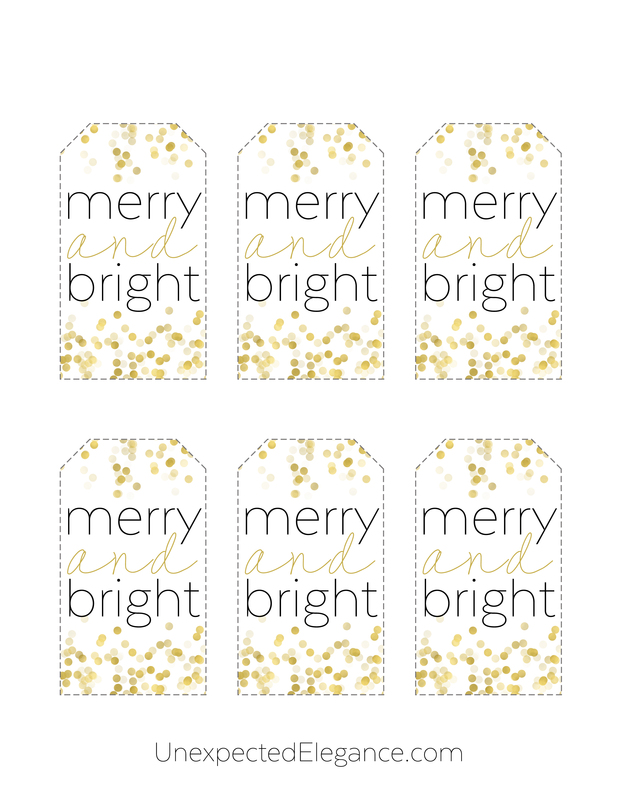 Merry & Bright Christmas gift tags are the perfect additions to your presents this year! They’re a great way to make each package extra special. 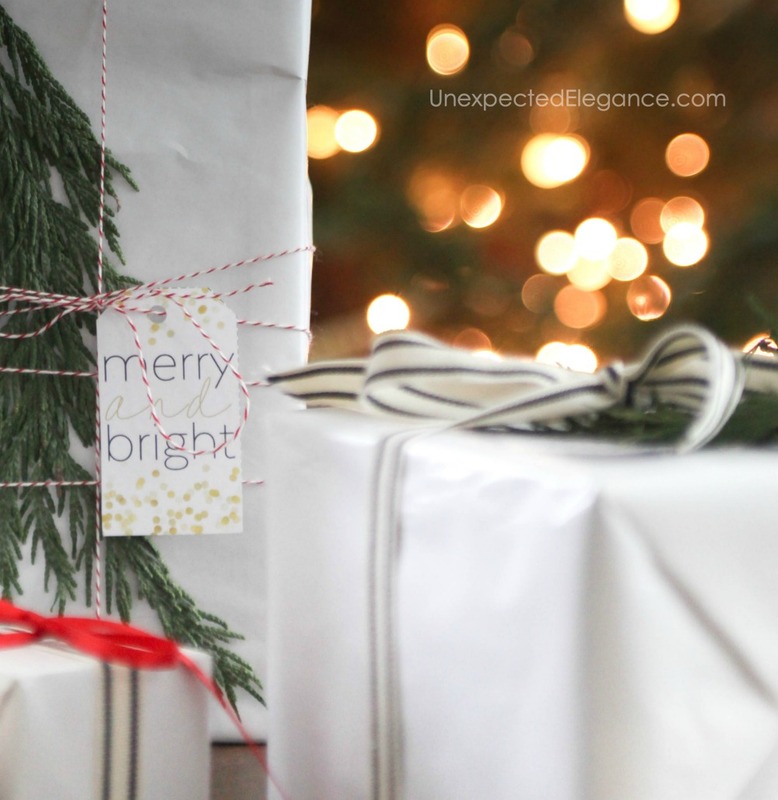 I love these Christmas gift tags! I don’t have a lot of presents to wrap this year because our extended family lives in either Texas or Pennsylvania. We will be spending Christmas by ourselves here in Indiana. The girls are older now and honestly didn’t want or need much this year. 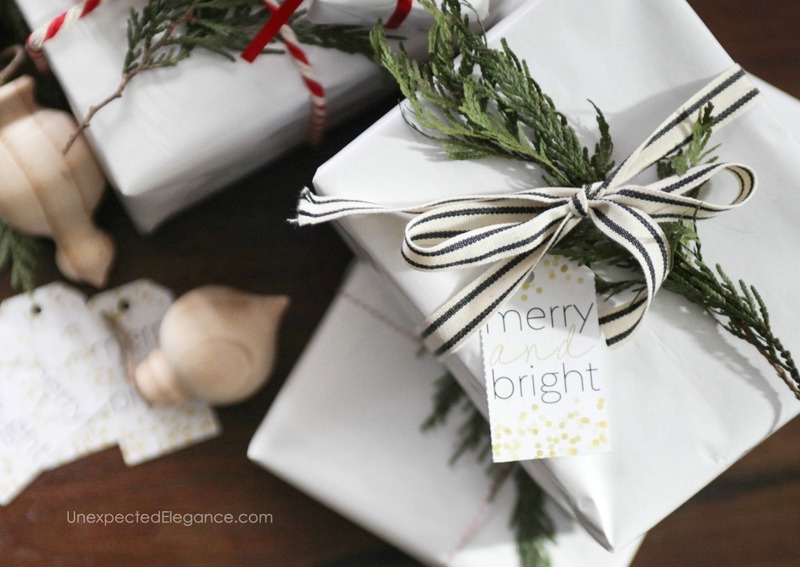 We will only have a few gifts tucked under the tree, so I wanted to make them extra special! 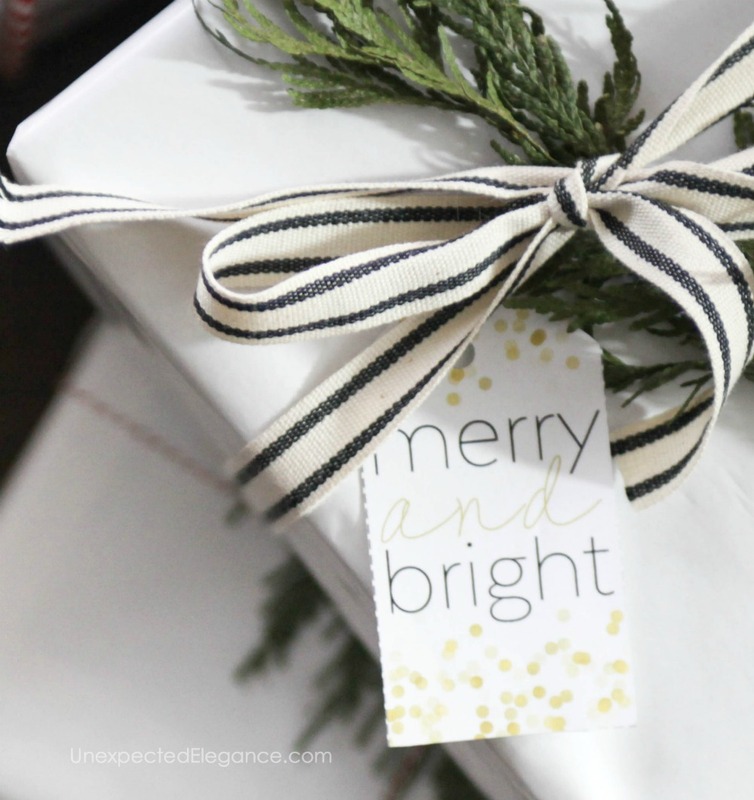 You can grab these free printable Merry & Bright gift tags, too. Just download the printable below. Print out on a heavy paper. Cut them out around the dotted lines. Punch a hole on top. 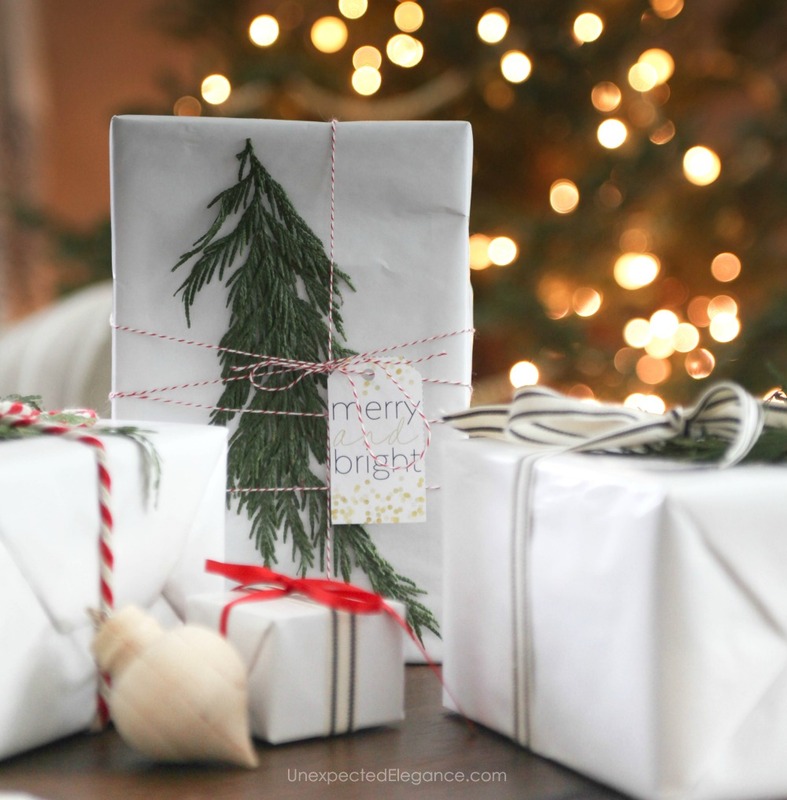 Attach with a pretty ribbon or bakers twine. 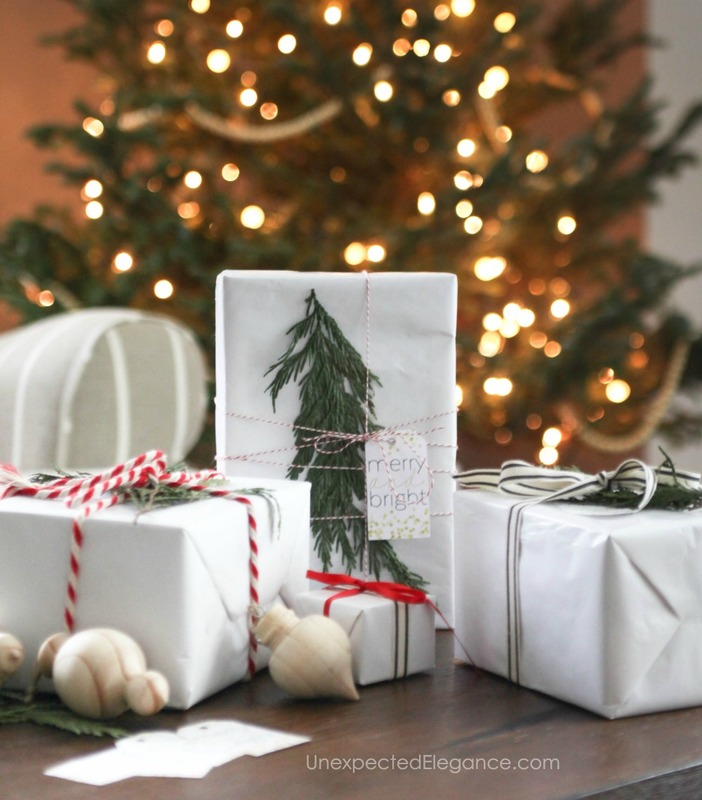 If you are looking for some handmade gift ideas, here are 9 handmade gifts under $10. Thank you dear. Lovely tags by the way. Merry Christmas!